As a technology reseller, you have a complex sales process. This complexity makes your sales proposal a key part of your sales process. The goal of every proposal you submit should always be to provide prospective customers with a clear understanding of your solution. And, it must be written in a clear, concise manner that is engaging and persuasive without going overboard. Once the sales proposal is accepted then the fun begins – you are expected to follow through via a negotiated contract and in many cases a statement of work that includes the scope of work to be completed. A well-crafted, customized proposal is an important ingredient in complex selling situations because your customer is looking at more than price (or at least that’s your goal). Your customer wants to know how you’re going to resolve the problem at hand and why you are the best vendor to resolve that problem. At the end of the day, the customer wants you to answer the ever-present questions in the back of his/her mind – the “So what?” and the “Yeah, and…?” questions that often go unsaid. Your proposal is an important persuasive tool and you would be wise to get it right the first time. A proposal is more than a list of parts or Bill of Materials. Whereas a proposal is a well-thought-out, highly customized document, a Bill of Materials (BOM) is simply is a list of the raw materials, sub-assemblies, parts and the quantities of each needed to manufacture the product. There are many salespeople who treat the proposal as a BOM and believe once it is delivered, the proposal is complete. Ask yourself this, does a list of how many line cards or cables tell you the complete story? Does a list of material items compel you to want to plunk down tens of thousands of dollars on the proposed technology solution? Everyone wants to know what they’re buying, but the BOM list isn’t going to persuade anyone that you have the solution to meet their needs and even foresee their future needs. This list doesn’t tell the story that you understand the customer’s requirements and how you, Mr. Reseller, are the best person for the job. There are a number of posts and websites that can give you their magic formula for writing a sales proposal (we even have a few you should check out). To be truly effective you must ensure your proposal is customer-centric and personalized to speak directly to the prospects need. According Mike Schmidtmann, Peer Group Facilitator and Business Coach at Trans4mers, there is a simple formula to use when writing a proposal to ensure the proposal is focused on the customer. He calls this the “I/U Ratio.” This simple formula will ensure the proposal focus is on the customer versus the reseller. What are the business problems the customer faces? What is the answer to solve the problem? What benefits does the customer gain from your solution? How do you get the answers to these questions? Having a strong qualification and discovery process in place should allow you to know what questions to ask, when. Just having one in place is not a guarantee to success. You and your sales team must follow the process and use the information gained to convey to the customer that you hear them and your proposal solves their pain. One such way to do this is in the form of an Executive Summary. The Executive Summary is many times, your first introduction to a number of stakeholders in your prospective buyer’s organization. As noted in the post, “Anatomy of a Winning Executive Summary,” this may be the only touch you have with key executives as it’s impossible to meet with every decision-maker involved in your project. The Executive Summary is considered by many as a mini-version of the proposal that key stakeholders have the time and capacity to read. This may be one of the few opportunities you get to convince your prospect that you have the ability to handle the details of their project, and that you can do it in a manner that enables the achievement of business goals. In some cases, the Executive Summary is THE key component to the proposal. Provide a compelling executive summary and your reader is likely to continue reading. Automating proposal generation means you have a consistent document. Using the Microsoft suite, SalesDoc Architect (SDA) can easily turn a configuration from a manufacturer’s CPQ tool into any number of customer-facing sales documents – including a customized proposal tailored specifically to your customer’s needs. 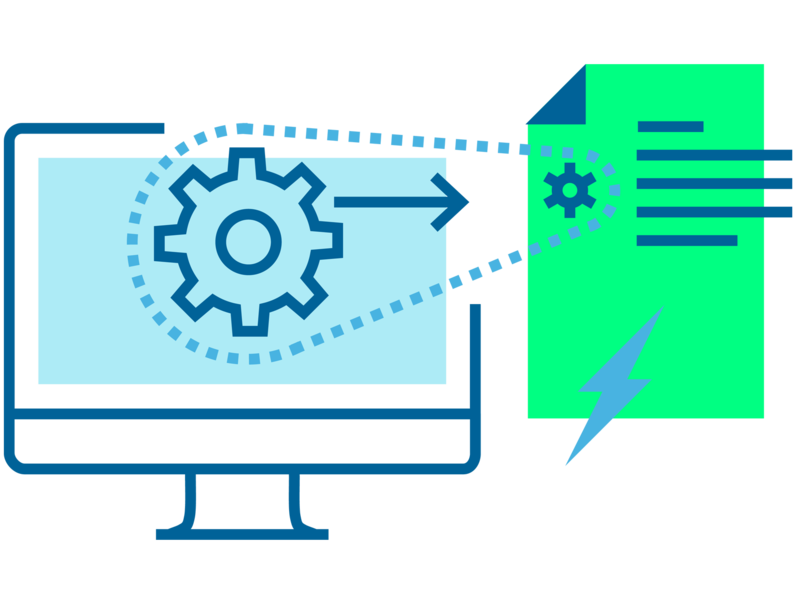 By including rules and workflows in your automation you ensure that certain elements of a configuration and proposal are not forgotten. Automating the generation of a proposal – or any sales document – removes the rote, clerical activities, saving lots of time. Ensure consistency without the document sounding too boilerplate (like you’ve handed the same proposal to every prospect in town). Generate a consistent proposal based on findings from the qualification and discovery process. By automating the input of the discovery process, you custom tailor the executive summary to the individual needs of that buyer. No need to worry that language relating to another product is inserted in the proposal. No superfluous information is included because the automation in SDA is intelligent enough to bring in only document sections related to the specific solution being proposed. Automation leads to a faster turn-around so you can respond to your customers’ request in a more timely manner. Speed is not the only benefit to automation. By automating your sales and proposal process, you start to hone in on your customer’s needs and requirements. Your proposal will start to distinguish your company from the competitors so much so that there will be no equal comparison. You will start to sell upstream to larger accounts and build stronger, longer-lasting relationships with your customers. Sales proposal automation reduces errors and provides you a consistent output across the entire sales team. By using CorsPro’s software package, SalesDoc Architect (SDA), you can be assured that Microsoft Word variables such as name, address, etc. will automatically flow throughout the various sales documents. The biggest problem with a non-automated proposal is the lack of consistency. They can look different from one salesperson to the other. Without automation how do you know the proposal includes the latest and greatest company and product information? One of the biggest benefits of proposal automation is the ability to produce better proposals. An automated system in place will complete all the auto-generated “guts” in a proposal. This allows sales to spend more time on the important parts of the proposal, such as the value proposition, key differentiators, and calls to action to create a sense of urgency. SDA is a tool that can generate pictures, descriptions, and specs around pricing, in addition to other customer-related document – both internal documents and customer-facing documents. SDA allows sales to do what it does best – form valuable, long-lasting relationships and sell more in less time.